You can grow a citrus tree from a seed anytime of the year, though summer is best. Most fruit trees are best grown from grafted trees for quicker fruiting. Lemons, grapefruit, lime, tangerine, orange etc. are easily grown with great results. Sprout and grow a seed from a great-tasting specimen and there is a chance of, sweet, juicy fruit from your own tree in only three to six years. For those of you who live in colder regions, keep your young plants inside near a window. There are two stages of plant growth. Myer lemon or a lemon type of your choice (or any citrus fruit seeds), piece of paper towel, cup of warm water, sandwich bag, a plastic container with a top that can seal and a knife. Cut the lemon in half. Pit the seeds and put them aside to wash.
Wash the seeds in a warm bowl of water to rid them of juice and fruit particles. Seeds that sink to the bottom are good to plant. Lightly dampen a piece of paper towel. Not too wet as it can cause the seeds to rot. Squeeze the paper towel and place the seeds in it. Wrap the seeds up in the wet paper towel as shown. Place seeds in a sandwich bag and close tightly to ensure there isn’t any trapped air inside the bag. Label and date the sandwich bag the day you placed the seeds in the bag. Place the sandwich bag with enclosed, wrapped seeds inside of the plastic container and close the lid tightly. Label the plastic container the same way the sandwich bag was labeled. This container becomes your miniature greenhouse. Place the plastic container with its contents in a dark warm place. A closed drawer (set aside for your seeds) is a perfect place. Check your seeds daily to ensure they remain relatively damp. Each seed is different but you should see signs of growth by week two. By week two, unwrap the paper towel carefully so there is no breakage of the new roots. This is the growth progress by week (6) and it is time to plant your small seedling in the soil. 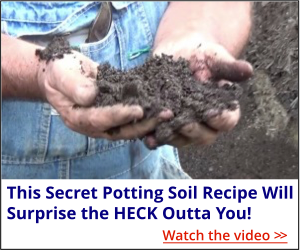 A one gallon pot, self-fertilized potting soil, trowel and water. Fill your one gallon pot 2/3 full with potting soil. After lightly watering the soil, carefully place the small seedling in a shallow hole in the soil (about ¼” deep) which can be made with either your finger or a pencil. Cover it with soil and gently press the seedling into the soil. Water the seedling gently and place it under a tree where it would get about six hours of morning sunshine. The seedling has to be acclimatized slowly to outside conditions. Gently water your seedling early morning or evening for about two weeks (watering should be done away from the heat of the day). Watering your plant at its tender stages will help to establish the young seedling. Keep the soil moist but do not over water (damp to the touch not wet). After the plant is about two months old, fertilize your plants with the fertilizer of your choice or, in the younger stages of its growth, put a handful of potting soil. When the roots begin to grow out of the pot from the bottom drainage holes, it is time to change to a larger sized pot. Your plant is ready for full sunshine and most weather conditions by the time it is two months old. Here is a picture gallery of the growth stages of a Myer lemon tree within approximately a year. They are fast growers and look very pretty especially while fruiting. All citrus and most other types of fruit trees (tropical as well including mango) can be successfully grown as previously instructed. Grapefruit from seed, 11 months old. When planting citrus from seed how long before you can expect to see fruit? I don’t know but maybe somebody else??? @ Myran …just reading related info myself. I started 2 honey tangerines from seed which spouted above ground in mid 2014. So they are now 4 full years old, and are 5′ and 6′ in height. I have read where it is the leaf node count which indicates when they may start to fruit. I have yet to see a bloom on either tree. On the other hand, I also have a great Rangpur lime tree which I started from a cutting from a 40 year old potted, and bonsai Rangpur tree. That cutting took over a year to root. It first put out 3 flowers in the summer of 2011, and last year produced around a 120 pounds of beautiful Rangpur limes which then made a great fruit spread and jam. Which brings me back to wondering why I have yet to see a bloom on the honey tangerine trees. I am thinking of grafting branches between the Rangpur and the Honey tangerines. 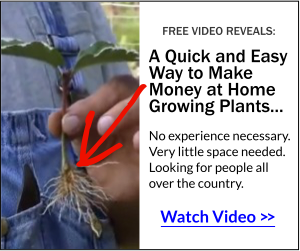 That is why I came to this site, to read up on grafting. The Rangpur lime is known for its cold hardiness, and its medicinal value. I have several nice starts from the Rangpur which I can work with, plus seeds which I will sprout. I would love to get a cross between the Ranpur and the honey T.
The 7 year old Rangpur would be over 20 foot tall by now, except that I have had to take the top out every fall as it needs a greenhouse for the cold season. I live in the mountains, and have the only citrus tree in the entire area. I was given a little lemon tree approx. 18 inches tall. It had leaves up the stem. When I put it out in the spring sunshine it split at the top to 3-4 branches. Will the plant automatically drop the leaves growing up the stem at some point? I saw little trees in the nursery ( more woody stem than mine) and no leaves on the stem, just the branches at the top. No it won’t, those leaves will eventually become branches. You have to removed them, just be sure the tree has plenty of leaves to support the tree before you remove them all. I’d transfer them to individual pots when they are pretty small. You want to do that while you still can without doing any root damage. I have a lemon tree that is over 2 years old. It is spindley. And about 4 ft. tall. Do I need to top it so it can split? I bring it in for the fall/winter because Oklahomas weather is very cold like -8° last year and extremely hot in summer. Do I need to put it in full sun also. It is on my porch. Please help me out please. Yes, I would prune it so it fills out, and it will need protection over the winter and will need sun in order to bear fruit. First fruiting is often at the tips of the top branches. Therefore pruning the tops could delay fruiting considerably. I have a grapefruit seen I planted around two weeks ago and it has sprouted two shoots, what do I do with it? Do I cut one of them off? Its not all the way up yet but you can see the two shoots sticking out of the little pot I have it in!! Two weeks sounds really quick, are you sure the sprouts are coming from the seed? I’d leave them as is for now but if true leaves and stems one needs to be removed eventually. I have planted a blood red Grapefruit and I now have a plant that is about 8 inches tall. What I would like to find out is the stem of the Grapefruit meant to be red? And the leaves are dull not glossy green as I would have expected. The big question is am I even growing a Grapefruit tree, as I have searched the web and can’t find Grapefruit with a red stem. Sorry Tevor, I can’t help you with that, maybe somebody else? I’ve been able to get just 2 leaves from my Meyer Lemon seeds — and they’ve just stalled at that growth. They’re about 2in tall. I have all the sprouted seedlings in 6 different 6″ pots It’s been about 7 weeks… and just the 2 leaves. I had them sprout and grow in a potting mix that I created using some coconut coir, mushroom compost, and [store bought] organic vege soil. I have them next to large windows in my large garden shed. Thinking perhaps they weren’t getting enough sunlight, I moved 3 of the containers outside — put the 6″ size pot into a larger pot and covered that with plastic tarp to keep the wind off. ANYTHING else I can try ..??.. That should do it, just watch how much sun those young seedlings get. They’ll burn easily with too much sun. When my now 44 year old daughter was 5, we planted seeds from lemons, limes, oranges, grapefruit & tangerines. I didn’t label the seeds, as we were just doing it for fun. Well, 2 of the seeds grew into BIG trees. She took the trees to her own sunnier, bigger home about 20 years later. They thrive all summer next to her pool outside. Five years ago she got her first (and last) 2 fruits on one tree. They never got any bigger than walnuts, & then fell off. They were still green, with no signs of rot or any sickness. We were told by a pro that being grown from seed they would never bear fruit. Oh well. They have been a joy to watch. The leaves & thorns are similar, but different in size & shape. The leaves smell wonderful when squeezed. Though we will never know exactly what ‘breed’ they are, we have always enjoyed them, & the sentimental story of their birth. I’ve seen a few fruit trees grown from seed make absolutely splendid fruit, but usually that’s not the case. A true clone of a quality fruit tree has to be budded or grafted. Cuttings? Maybe. I got to where I remove the sprouted seeds from the ziploc/paper towel (“By week two, unwrap the paper towel carefully so there is no breakage of the new roots.”) I actually did this at week 3 or 4. BUT, what do I do with the seedlings now as I await the 6 week mark. Leave them in the container?, in the dark space? add water? What now? I did not write this article, somebody wrote it for us, therefore I am of little help. As soon as the germination process begins the sprouting seeds should be planted into potting soil into a pot. The new shoot (not the root) should be exposed to bright light as soon as it’s planted.. The germination procedure is intended to jump start growth to get ahead of potential seed decay. About 45 years ago I planted a sprouted seed from a grapefruit. It grew into a magnificent, 6 foot tall, very thorny, non-fruit bearing tree with a trunk about 3 inches in diameter. Each summer I put it outside where it thrived in the sun and then inside for the winter. This winter it got a heavy bug/weblike infestation. I over-sprayed it with a water and detergent mixture and the whole tree appeared to die. I was devastated. I finally cut the entire tree back to three short stumps about a foot high. After a couple of months of dormancy a few sprouts emerged from this trunk! I now have a bonsai-like gnarled ball of roots, the three thick cut-off stumps and slender healthy shoots about a foot high growing like gangbusters from the stumps! I’d like to keep the emerging tree smaller, perhaps a few feet high. I wouldn’t even mind keeping it as a small bonsai-like tree. How do I proceed (trimming/pruning,etc.) in order to control it’s growth and shape it as it continues to thrive? It’s almost a half-century old and deserves a lot of respect. I most certainly am no bonsai expert so I won’t say much about that except to say that bonsai experts keep their plants small by controlling the roots, I’m sure much is written online about that. As far as keeping your tree trimmed down you certainly can do that, but you’ll probably want to thin as need as you do that. The more you prune it the fuller it’s going to get. I was eating a grapefruit and found a seed in it that was already germinated so I thought I would put it in a pot and now I have grapefruit tree! It’s about a year and a half old. However, the top got knocked off a couple months ago, and it doesn’t seem to be growing any taller (at 4 inches now). Is there anything that can be done with it or is this normal? I assume what has happened is similar to just pruning the top of the tree. I’d say you are right. You can select a single leader from the new branches that form, stake it up straight and later remove the other growth down low. That will get the tree on the right path again. I found a seedling next to my Meyer lemon tree. I planted it and three years later it has a ton of fruit but the fruit looks like little oranges and the inside is a perfect mix between a lemon and orange. What is this fruit? I do have an orange tree as well. I don’t know, maybe somebody else will see this and offer up an explanation. With seedlings you never know what you are going to get. Meyer lemons are almost always sold grafted, not on their own roots. It’s possible the rootstock for your lemon tree sent up a shoot, and if so, then you probably have a “bitter orange” or “sour orange” tree. Citrus trees often also don’t generally come true from seed, so it’s possible that the seedling came from one of your lemons that fell on the ground. Given that Meyer lemons are a cross between true lemons and mandarin oranges, your “second generation” tree could be expressing more of the orange genes than the lemon ones, or the seed could have cross-pollinated with another citrus tree in the area. Grew two grapefruit trees from seeds that had sprouted roots while still in the fruit. Gave one away and raised the other for many years. It never flowered for me and finally was attacked by scale insects. I could never overcome them, tried waterblasting, alcohol swabbing, etc., but I didn’t want to use any chemicals. It was probably 8-10 yrs. old when it finally died. And, yes it did have some really nasty thorns. So Mike, back at you: Stay inspired! Many years ago had an infestation of white fly in some of my houseplants and could not get rid of them. My husband put a flea collar on the dog at about that time and, as it was much too long for our dog, he cut off about half of it. As an experiment, I put it on the soil around the bottom of one of the infested plant —— I think it was parsley and I didn’t want to spray it. the next day, the white fly was gone. It was worth the try. Several years ago while in FL. I purchased a small citrus tree. It was sold in a small box (bare root) and was about 5-6 inches tall. I planted it and now it’s about 3 feet tall. How can I tell if this was grafted? It does have rather large thorns, but has never flowered. I live in MN and keep is outside all summer long. Even if your fruit is not tasty, the blossoms smell wonderful and the elegant , glossy little tree is quite decorative. I have no information on this but maybe somebody else with more info will chime in here. I germinated 3 orange trees from seeds that I saved from a very juicy hybrid orange once. They grew very well but had VERY big thorns on them. I did some research and found out the only way to get edible fruit is to graph a branch of the wanted tree onto root stock. If a tree is germinated from seed they will always revert back to the rootstock variety. If a tree that has been germinated from a hybrid seed the fruit will always be sour and the tree will have large thorns if the tree ever does bear fruit. I cut my last remaining orange tree down and threw it away. In Hawaii they grow thousands of bitter orange seedlings as root stock. Your thorny seedling sounds like a perfect, sturdy base for a nice fruit tree. Can you beg, borrow or steal a cutting from a friend to use as a graft scion? I am so happy you commented! My trees have huge thorns — now I know why. I’ll keep them indoors [cold climate] and enjoy the pretty color — but [sigh] I guess there will be no oranges! Thanks very much! Many years ago, when I lived in Minnesota, I planted a seed out of a grapefruit I had eaten. I just stuck it in some dirt in a pot and left it in a warm window, or course I watered it and watched it. After a while it sprouted and grew, eventually reaching about four feet tall. It always smelled good, but never set blossoms. In the summer I would set it outside, then bring it in in the fall. Somebody watered it with kerosene one day and that was the end of my tree. What???? Is this a thing that hoodlums do in your neighborhood? You say it so casually like trees get watered with kerosene every day! I have grown several lemon, grapefruit and orange trees. Not one of them has ever developed fruit and my Lemon is about 10 or 12 years old! HELP!!!!! Call your local Master Gardeners program. They can put you in touch with someone who can graft your tree. Grafting looks easy, but it takes a lot of practice! My seed grown avocado never bloomed until I paid to have it grafted. Most citrus will not be happy as a new start.. Grafting Is a must; Sour Orange for s base is the standard..
We have grown fruit for well over 150 come to Florida and see how it is done.. Thanks for the info you have sent over the past years.. Thanks for sharing your experience. Like most fruit trees grafting is the standard method of propagating them. We do have some home gardeners rooting them with our clamshell propagators, but long term not sure how they’ll do on their own roots. Thank you and Mike for this information. I think I will try it! Thank you for your post. It has been the most helpful I have read so far. I have a friend here in Hawaii that has a lemon tree that produces the largest and sweetest lemons I have ever seen. I have planted several trees from seed that are now a couple of years old. Now I need to get some cuttings off my friend’s tree and learn how to graft! Thanks again!